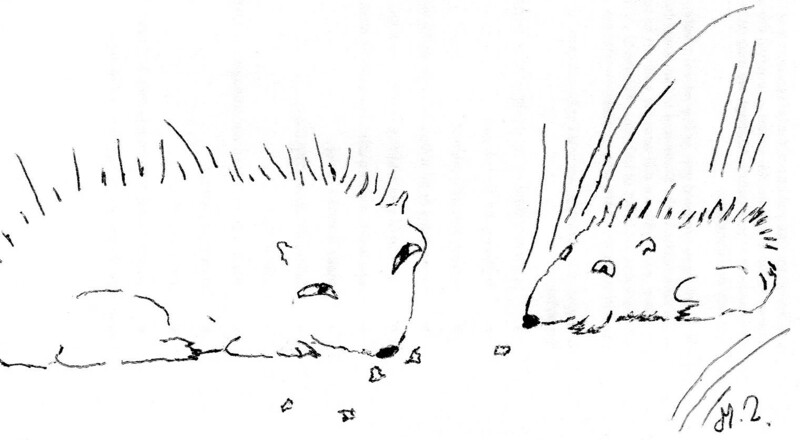 as Hedgehog and Hoglet came slowly into sight. Mother Hedgehog was about her baby Hoglet to teach. it was easiest to only grunt and not make too much sound. it was easy to sniff out the nicest worms to choose. Mother Hedgehog showed Hoglet the tastiest places to go. Snails, worms and garden wildlife could all make for a lovely treat. it was easy this life lesson because all you had to do was roll into a tight ball. his Hedgehog Mother was the happiest as all his Hoglet training points he did earn.